A lanyard is a chain / cord or neck strap that is worn around the neck to hold an identification badge, keys or other small objects. Lanyards are in use by businesses corporate, schools, hospitals, at special events, conventions, reunions, and in many recreational activities. 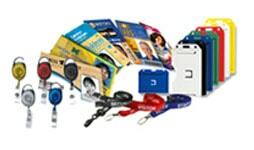 Lanyards can also be used as an advertising tool with a customized logo or name printed on the neck strap. They come in various colors and types with different hardware attached at the bottom for holding an ID badge etc. 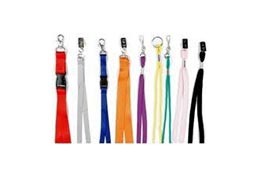 Lanyards can be made of cord, cotton, nylon or polyester twill. The cord type is the least expensive but cannot be printed because it lacks the flat surface of the strap-type. Some have a small holder containing a retractable reel to use with an ID badge or keys. They might also have breakaway connectors so that if the lanyard gets caught it will release before it pulls on the neck. Some lanyards could be made of metal and beaded or could be a chain of beads. The strap-type custom lanyard can be made of cotton, polyester or nylon and are often printed with a company name, product or logo. 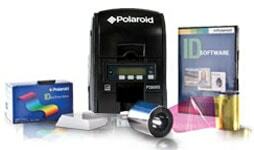 There are generally three different printing methods used: hot stamping, screen printing, or dye sublimation. To hot stamp a metal plate is designed according to artwork provided by the customer. The plate is heated then a color film is placed over the lanyards. 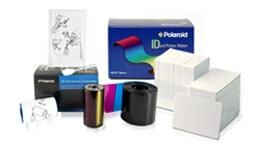 The plate is applied with pressure, which heats the film, transferring the color and design to the material. Hot stamping uses a single color and is the most economical. Hot stamping is suitable for many applications such as events lanyard, trade shows, reunions, student badges, conferences and so on. Screen-printing provides a higher quality result that is more durable. A fine mesh screen is made from the customer's artwork. The screen is laid on top of the material and the colored ink is applied over the screen. A squeegee pushes the ink through the mesh screen to create the design beneath on the fabric. Heat cures the ink for a high-resolution result. Dye sublimation is a superior printing process that can create multicolored, highly detailed designs. With this method the customer's design is transferred to a fine paper that uses dye sublimation inks. The paper is placed on the lanyard and pressure and heat are applied, causing the image to become enmeshed into the material. The design remains smooth because of the method used, allowing for an image that is less prone to abrasion or fading. A personalized lanyard can also come with different hardware. The O-ring is common for using with a whistle or keys. It may also have a split-connector so that it is easily removed and snapped back into place. A swivel snaphook is good for ID badges that have a rectangular hole at the top, and the bulldog clip is the type that when squeezed, both serrated jaws open, similar to how an alligator clip works. At Wipaq dubai, UAE; we provide free quote estimates for Lanyards, neck cord or neck straps. At Wipaq Dubai, UAE; we provide free quote estimates for Lanyards - Neck Cord & Strap. Call us for Lanyards - Neck Cord & Strap Saudi Arabia | Bahrain | Dubai | Oman | Egypt | Kuwait | Turkey | South Africa.